A brief follow-up to my previous post on academic publishing . . . In both my undergraduate and graduate courses I assign journal articles, which students can access through databases via the university library. These databases originated as a means of freeing up library shelf space from the curse of infinitely-expanding volumes of bound journals, making them a less expensive option. However, universities still incur a cost when they subscribe to these databases, and this cost invariably gets transferred to students. The initial conversion of old journal issues into digital files that were placed in electronic databases represented a slightly updated version of what already existed. Journals publish electronically now, so there is no need to scan their paper pages, but their contents still get aggregated by third parties that in many cases are privately controlled. In the new e-universe, why do universities still contract with the companies that supply these databases? Partly it’s because of the tendency of people and organizations to adhere to already-existing systems, even if those systems are sub-optimal. Eventually though, whichever system represents the greatest value to the greatest number wins out though. Alternatives do exist, and they seem to be less expensive. I say “seem” because I don’t know the precise costs involved, but they should be cheaper because they eliminate intermediaries. These alternatives include the Social Science Research Network (SSRN), which has the motto of “tomorrow’s research today,” and the Digital Commons operated by bepress. SSRN is hosted by a consortium of universities and is a searchable database consisting of research-oriented documents uploaded by their authors. Digital Commons is also a repository for faculty work, but it is curated by librarians at the universities that have contracted with bepress for its hosting and support services. Digital Commons is searchable, just like SSRN. 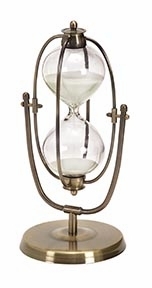 Disseminating scholarly research via subscription databases resembles an hourglass. Individuals generate new knowledge from their research on innumerable college and university campuses, the knowledge gets funneled through peer-reviewed journals produced by academic publishers, and then it travels outward for consumption via the database providers like JSTOR and EBSCO. In contrast, services like SSRN and Digital Commons have a more open-access architecture that resembles a coral reef — lots of nodes and lots of channels connecting those nodes. There is no reason for the scholarly journals currently managed by academic publishing firms, with content aggregated by database providers, to maintain a monopoly on the dissemination of peer-reviewed research. Peer-review is obviously the gold standard for academic research, but already the majority of the work peer-review entails is handled by university faculty as part of their service within their professional associations. Dissemination of vetted research can easily and cheaply be done by university librarians, given their expertise in all things informational, through services like SSRN and Digital Commons. In this system, new knowledge becomes available to more people more quickly, at a lower cost. Some of you may be seeing the connection between this post and other posts I’ve written about changes in higher education. More on that later . . . Note: I have no financial affiliation with SSRN, bepress, JSTOR, or EBSCO. < Previous Can you make a template for simulations?